Jecca Blac is based upon the idea of makeup being genderless. They offer a safe space for the LGBTQI+ community, particularly transgender people, to explore makeup. The start-up business tasked us with delivering a website that makes a scene in the beauty industry and helps to build brand awareness. The solution we provided is a stunning WordPress website complete with WooCommerce integration to enable eCommerce functionality. The neutral design matches the nature of their products whilst making the most of their beautiful imagery. Jecca Blac is an engaging website with a fully optimised and seamless customer journey, including a fully responsive design. In terms of eCommerce capabilities, WooCommerce enables secure online payments from a plethora of popular providers, all integrated into a user-friendly CMS. 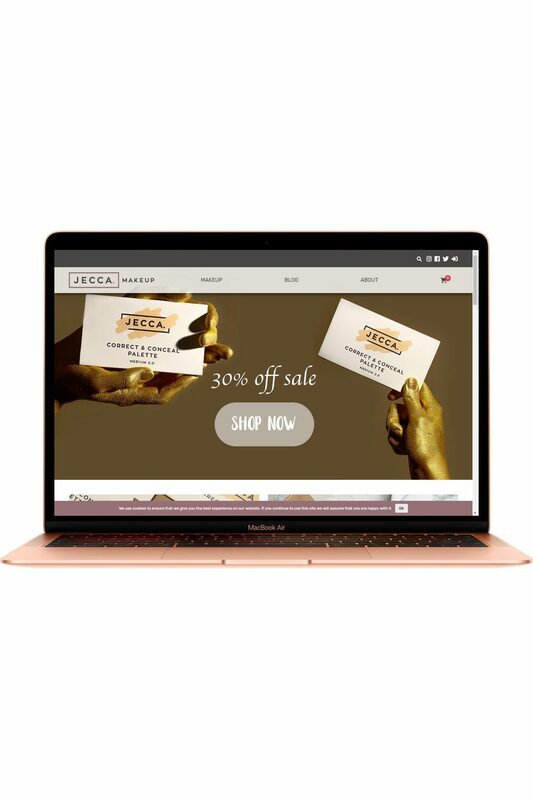 Speaking of the website, founder Jessica Blacker said “We are entering a new phase of Jecca Blac’s journey so we wanted our website to reflect that. Darren and the team at Digitl got us right from the start and the result is a cutting edge and stylish website that shouts what we’re all about.” You can read more about our project with Jecca Blac on the Prolific North website.